Drawing & Painting is like one of those general knowledge book that attempts to cover all aspects of a certain subject. It does well in that aspect. This is a 288-page hardcover. 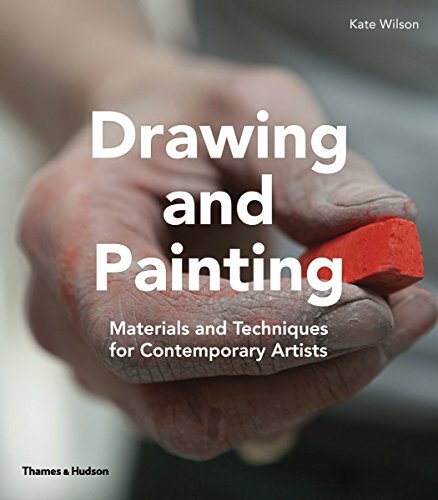 This book is a wonderful guide and reference for any beginner artists looking to explore more about creating art. It has an extensive coverage of various art supplies and the techniques associated with them. There are also examples of actual artworks created using those art supplies by established artists. Artist profiles are also included. Occasionally, there will also be step-by-step tutorials, like how you can make your own paint, or prepare paper/canvas before you work. There are also sections that talk about the creative process, artistic styles and movement, concepts and ideas. Of course the book is not able to cover in depth on specific tools, but I think it already does a good job in showing off what the tools are capable of. It points you in the right direction where you can explore further on the subject, techniques or tools on your own. This is a really informative and insightful book. A nice book that I can recommend to those who want to learn more about creating art and the tools involved. If you like this book, I recommend checking out The Practical Handbook of Color for Artists and Sketch Book for the Artist.